Nivea Water Lily and Oil Shower Gel Review Reviewed by Nikki Mishra on November 9, 2017 . 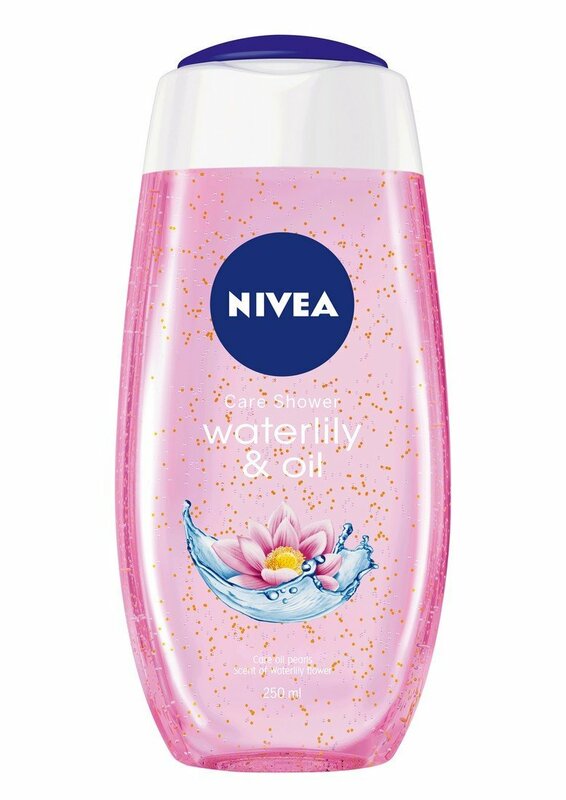 Nivea Water Lily and Oil Shower Gel is simple to be used. It is basically liquidly shower gel that you directly apply on your body. Rinse your body well with this shower gel. To get more bubbles, you need to use ‘loofah’ which comes for free with the body shower gel. I am back with another review today, and I sincerely hope that it will be a great experience for you guys to read this latest review of mine. As we know that summer is knocking the doors, and we need a few products to protect our skin in summer. Not just skin protection, summer body odor is also annoying. I have written on a few perfumes and body sprays earlier. However, I think freshness starts with good hygiene. This is why I am reviewing Nivea Waterlily and Oil Shower Gel. The product endows freshness to your body, stimulating senses with feminine fragrances like water lily, white lily, etc. This is basically a body shower gel, enriched with great fragrance and skin rejuvenation benefits. Ingredients: Sodium laureath sulfate, PEG-7 glyceryl cocoate, helianthus annuus, parfum, cocamidopropyl betaine, disodium cocoyl glutamate, etc. I am a big fan of Nivea products. 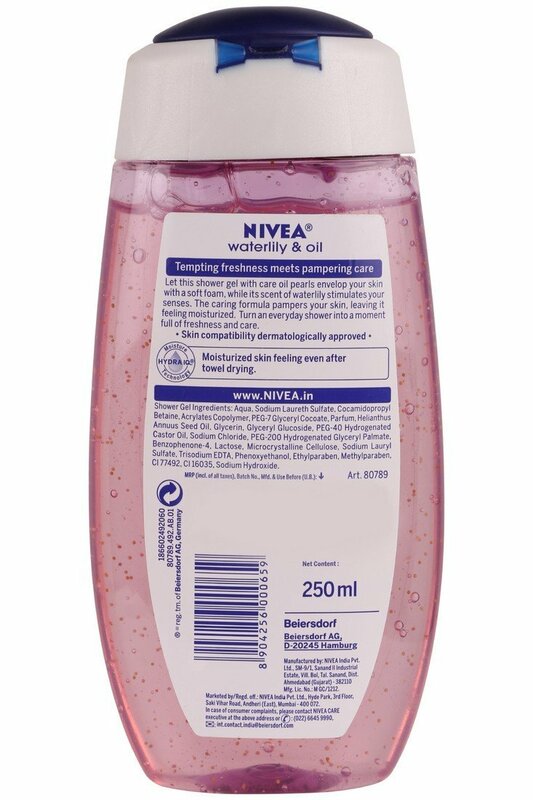 Though I am a little fussy these days for natural products, in spite being chemical based product Nivea Waterlily and Oil Shower Gel has impressed me a lot. The most interesting thing is the beautiful fragrance. I just love the fragrance of water lily. The freshness as well as uniqueness of the fragrance seems to stay with me for the whole day after I have my bath. To beat summer body odor, this is definitely a satisfactory product. The product comes with liquidly gel consistency. The gel is transparent, and a little quantity of the gel would help you to get a lot of bubbles. To get the best results, you need to use the loofah which is included in the pack. Overall packaging is also good. Flip open cap on the top of transparent bottle is simple to be used. The shower gel does not make my skin dry. I use quite regularly, and I do not feel dryness of skin. I have faced skin dryness issues with many other products. From this aspect, Nivea Water Lily and Oil Shower Gel is definitely commendable. At conclusion note, I would like to state that Nivea Water Lily and Oil Shower Gel is a good product for everyone. The product is fairly priced, and the price is more or less similar to other available shower gel products. However, with its unique fragrance and no dryness effects on skin, it stands out as one of the best shower gel products in the marketplace.